Children's Poetry Books. The Best Poetry Books to Share With Children. On this page, you'll find reviews of my favourite children's poetry books. Children love nursery rhymes and poems but did you know that it's actually very important for them to hear these read aloud? This is something I only discovered recently. Yes, it turns out that hearing poems, along with playing word games and clapping games, helps children develop something called phonological awareness, a skill that's important for learning to read. So which poems are the best ones to share with children? Which children's poetry books should you look out for? Which poems are best for children? Nursery rhymes are a great place to start if you're keen to introduce your young child to poetry. They're basically short rhyming poems so they're perfect for reading aloud to little ones. 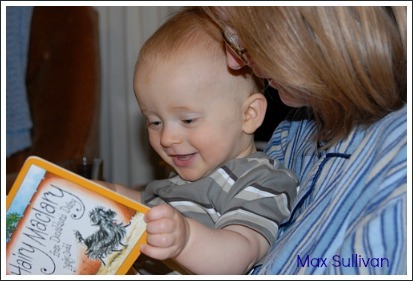 Your baby may receive a book of nursery rhymes and poems from a friend or relative. If not, there are some fantastic books available in book shops and libraries. Borrow one from the library if this is your only option but do try to buy one if you can as this is a book you will read to your child for years to come. If you'd like to buy a book of nursery rhymes or a couple of children's poetry books, the Book Depository - my favourite online book shop - has a great selection and postage is free anywhere in the world. Here's my pick of the best children's poetry books around. All of them make beautiful gifts, either for your own child or for a child who is special to you. There are many, many books of nursery rhymes for sale in bookshops and this is just one of them. I've included it here because it's a really gorgeous book, with artwork by Michael Foreman who's one of my favourite writers and illustrators. This book contains over 200 of the best-known and loved nursery rhymes and short poems for children. There are lullabies, action rhymes, nonsense verse, riddles and tongue-twisters, all grouped by theme. 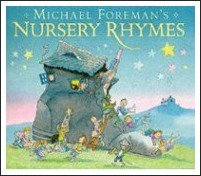 Michael Foreman is one of the world's great picture book artists and his illustrations in this book are playful and fun. 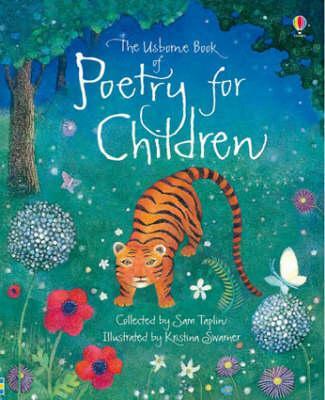 If these poems weren't read to you as a child, you're in for a treat with this lovely book of poems written for children. Robert Louis Stevenson's wonderful poems capture the joy and whimsy of childhood and Brian Wildsmith's illustrations add a fresh backdrop for this edition. If you are familiar with the poems, you'll be catapulted back to your childhood as you read them with your little ones. The most famous poems in this book are probably The Swing, My Shadow and From a Railway Carriage. These three are also my favourites. They're beautiful poems and well worth sharing with your children, from the time they're babies if you can. I truly believe this is a must-have book for every family. 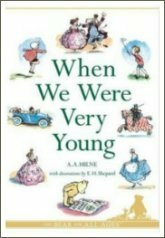 This book was a great favourite in our house when my children were small and every so often someone will quote a line from one of the poems when a situation calls for it. If someone read these poems to you as a child, you'll rediscover them with delight. If you haven't come across this book before, you may find the verses a bit old-fashioned. The book was first published in 1924 but the rhymes are still absolutely delightful. There are humorous poems for kids, along with several more thoughtful verses. All of them are really gorgeous but my favourites are Buckingham Palace (They're changing guard at Buckingham Palace. Christopher Robin went down with Alice ... ) and Disobedience, because it's about a boy called James and my son's name is James (James, James, Morrison, Morrison, Whetherby George Dupree ... ). I love this book so much. This book was a new one on me. 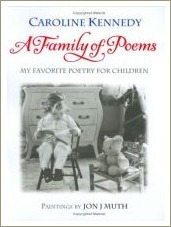 I found it while I was researching books for this page and it's the only book in this list that I didn't read aloud to my own children when they were small.06 poems in this book and they've been divided into seven categories which relate to a child's life, including About Me, Animals, Adventure and Bedtime. The poems are the ones Jacqueline Kennedy read to her children and they come from a range of different poets. 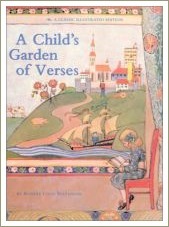 Some poems were written specifically for children while others have been enjoyed through the years by readers of all ages. There are also two poems of rhymed verse which were written by Jacqueline Bouvier before she became Jacqueline Kennedy. The watercolour artwork by Muth beautifully complements the poems. Usborne books are always beautiful and beautifully put-together and this book is no exception. It's aimed at older children and includes poems by classic and modern poets such as Shakespeare, Byron and Ted Hughes, as well as some all-new original poems written by Sam Taplin. The poems cover different themes and moods and the illustrations by Kristina Swarner and gorgeous. This book, like the others on this page, would make a lovely gift for a child aged from about six up.